Recently, we offered some tips and advice for enticing Millennials (or Gen Y) to your events. But in your scramble to engage Millennials, don’t neglect Gen X or Boomers. The reality is that you need to have strategies for all generations of members and supporters. In addition, Boomers are still sitting on non-profit and membership boards and will continue to volunteer in a multitude of ways at non-profits and associations for some time to come. While Boomers should continue to provide volunteer leadership for many non-profits and membership organizations for a while yet, Gen X is primed and waiting in the wings. 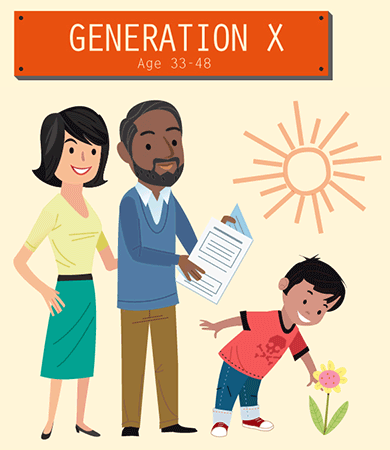 A slight 48 million Americans, Generation X (1965-1981) is situated between two behemoth generations: 78 million Baby Boomers (1946-1964) and 80 million Generation Ys (1982-1995). Xers have been outnumbered and overlooked most of their professional lives, firmly seated under the Gray Ceiling and awaiting the retirements of Boomers. Until now, they have been considered too small to make a difference, but that’s all about to change. Within the next 2-3 years, more Xers will be called upon to lead as the Boomers begin to retire. This shift will make a huge impact on the workforce–perhaps more than any other time in history. In fact, some changes are already beginning to emerge. A recent USA Today/Bipartisan Policy Center poll shows that Americans by more than 2-1 say the best way to make positive changes in society is through volunteer organizations and charities rather than through government service. Those under 30 years are the most likely to feel this way. 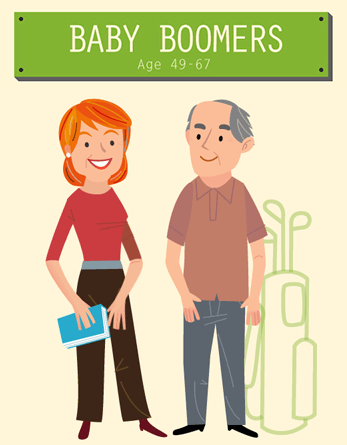 ...As some 78 million Boomers are reaching retirement age and – with many pulling back from associations and professional societies -- who will fill their shoes? The bottom line is that your association or non-profit needs to be sure you are addressing and engaging ALL of the generations to ensure you have a renewable resource of members, volunteers and leadership now and in the future. What are your biggest communications and engagement challenges across the generations? Let us know in the comments below.